Zero coupon bonds do not have interest payments, also referred to as the coupon, like most bond types do. These may also be referred to as accrual bonds, and they function differently than many other bonds do. Most bonds have a government bonds interest rate which is paid, and the face value of the bond is the amount paid to purchase it. Investors profit because of the interest paid on the bond, either before or at maturity. Zero coupon bonds do not have an interest rate involved, and instead these bonds are purchased for less than the face value, and then redeemed at maturity for the full value of the bond. Investing in government bonds can be a good idea for any investor who is looking for security and very low risk. There are many types of these bonds, and zero coupon bonds can be an excellent option when interest rates are high, because this is when the initial purchase price is usually lowest. When the interest rates are low then you will normally pay more for these securities, and see a lower return on your investment. One reason that zero coupon municipal bonds and other zero types are so popular is that the end yield is fixed, and will not change once the bond is purchased. There are two different types of zero coupon bonds, those which are created specifically as this type and those which have had the interest component separated. This separation is usually done by a bank or other financial institution, and the bond is divided into the interest component and the residual component, which are each offered to investors independently of the other. 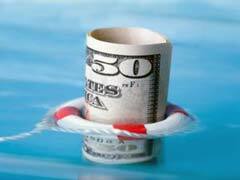 Unlike most savings bonds, zeros have a drawback that should be considered. Even though you do not receive the profit until the zero coupon bonds mature, the accumulated annual return must be claimed as income, and can not be claimed as capitol gains on maturity like some other types of bonds.